Comments: This issue takes a look at Bayley she is a cute naivete girl who loves the WWE. Here we see her first joining up. 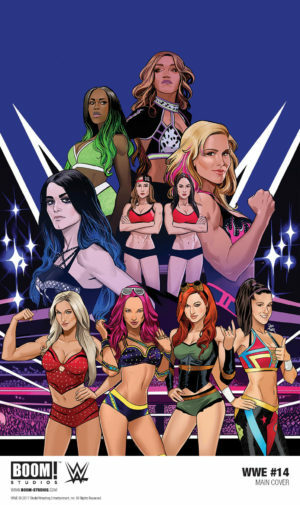 The art captures her look and the look of the other wrestlers beautifully. Bayley is awe stuck and it shows in everything she does. 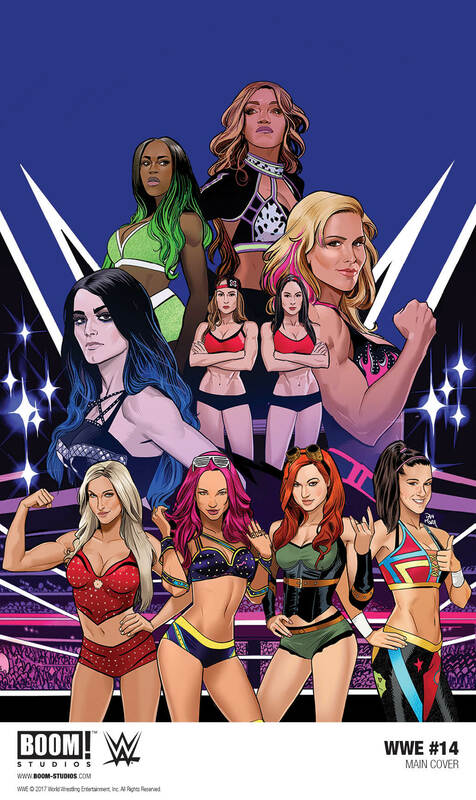 The four girls Bayley, Flair, Becky, and Sasha are all a wonderful fit together. They support each other. They were the Four Horsewomen. Dusty The American Dream gives Bayley a pep talk. He does give her some great advice. Bayley, she can be nice and step up to to get what she wants. Bayley does have what it takes. “Though She Be But Little, She Is Fierce” Asuka makes her debut at WWE. She moves among the other Diva’s unseen until she wants to be seen. The writing does let you know she has a reputation. The other wrestlers show fear of her. Asuka without a word makes her presence known and feared. The women of the WWE are just as talented as the men and they are a whole lot nicer to look at.